Edelweiss “Ethel/Sis” Assunta Valerugo (Nee Menozzi), age 98 of Joliet, passed away peacefully at home August 18, 2018, surrounded by her loving family. Born November 24, 1919 to the late Gilda (Morbiducci) and Dario Menozzi, raised on the south side of Joliet and a lifelong parishioner of the Church of St. Anthony, Joliet. Msgr. Gregory M. Coos joined Ethel and Domenic in marriage on February 22, 1941. They were married for 74 years. Survived by her beloved children, Sandra (Steve) Kimak, William (Cindy) Valerugo, Mary Susan Valerugo, Sally (Bob) Luce, and Sheryl (Tom) Gullickson; grandchildren, Christine Kimak, Stephen (Jennifer) Kimak and Jeffery (Mary) Kimak, Brian (Kristen) Valerugo, and Sarah (Mark) Hoffman, Anthony (Britt, fiancé) Luce and Adam Luce (Amy Pilz), Kate (Jason) Jones, Megan (Tommy) DeBetta and Laura (Justin) Tuffs; 16 great-grandchildren; sister-in-law, Irene Frantini (Louis, deceased); as well as numerous nieces and nephews. Preceded in death by her loving and devoted husband, Domenic John Valerugo (July 8, 2015); her parents, Gilda (Morbiducci) and Dario Menozzi; brothers Lyco (1966) and Deno (1964) Menozzi; brother-in-law William Valerugo (1938); sisters-in-law and brothers-in-law, Theresa “Trix” (John) Spesia, Marie (Charles) Tapella and Margaret “Rita” (LaVerne) Kinzler (Late Angelo Lucaora); nephews Thomas Menozzi and William Tapella. 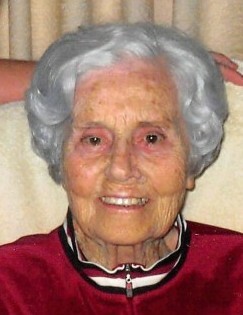 Ethel was a devoted wife, mother, grandmother, and great-grandmother. She was a wonderful and talented baker and homemaker. A devout Catholic, she prayed the rosary daily and for many years attended the weekly Novena to Our Mother of Perpetual Help at the Church of St. Anthony. Her family and friends loved her delicious Italian cooking and baking, especially her homemade cupalettis, ravioli, lasagna and potica. Prior to starting a family, Sis worked for Dr. Vince Fornango and after her children were raised, worked a number of years at Our Lady of Angels Retirement Home, Joliet. The family will always cherish the memories of their vacations on Forest Lake in Campbellsport, Wisconsin and the many years on Stony Lake in Hackensack, Minnesota. 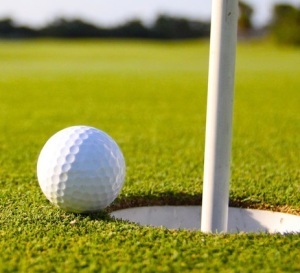 She enjoyed golfing - having golfed for many years on 3 leagues in Joliet, until the age of 88. She also was an avid follower of many sports; she especially loved the New York Yankees and Duke basketball. She had a memory never dimmed by the years and always amazed us with her knowledge of individual and team stats. The family would like to thank Fr. James Lennon; Ethel’s caregivers, Rhio and Bukki; and the support of Joliet Area Community Hospice. Funeral services will begin on Friday, August 24, 2018 with a visitation from 8:00 a.m. to 10:30 a.m. at Blackburn-Giegerich-Sonntag Funeral Home then driving in procession to the Church of St. Anthony (100 N Scott St, Joliet) for a Mass of Christian Burial at 11:00 a.m. Joseph J. Tapella, Funeral Director. In lieu of flowers, donations in Ethel’s name to the Church of St. Anthony, Joliet or Joliet Area Community Hospice would be appreciated.